Last weekend I was thrilled to be able to go to the Philofaxy meetup in Glasgow! After a gorgeous train ride, Steve met me at the station and we had a bit of a walk around Buchanan Street. Wow, now I know what everyone's talking about! Shopping paradise. Steve and I caught up over a cup of coffee before making our way to the restaurant. We chatted at length over binders and beverages. You can see my personal Kendal there in the foreground. Comparing Van der Spek vs Gillio binders! Here's the lineup. My contributions were my red Filofax Finchley tote at the back, my pink Filofax Finsbury wallet at the front, and my personal Kendal somewhere in the middle there (between Mhari's personal Raspberry Finsbury and Steve's Journey). There were a lot of Gillio binders, a few Van der Speks, lots of Filofaxes of course, a Franklin Covey or two and even a Faux-dori. Behind the row you can see Steve's Filofax man-bag and a Miracle Bind notebook too. Excellent lineup! After lunch we went back to Buchanan street where we visited the largest Paperchase store I've ever seen! They had a few Filofax binders and inserts, and a gorgeous selection of satchels. Apparently the stationery theme this season is nautical, which I like. Then we went to John Lewis, with a very tiny selection. So on we went to The Pen Shop where Margaret found a pocket Deco in Ivory! Great find! Nice companion to her pocket Deco in Ruby. By this time the rain had begun in full force, and people were heading off to their trains. Steve and Bev and I chatted a little more over a cup of tea to warm ourselves before Bev and I caught our trains back home. It was great to meet everyone, and as always it was wonderful to see Steve again! 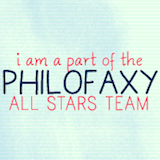 See Steve's post over on Philofaxy for more photos! A reader emailed me recently for advice on what planner to use and asked, when does the cycle of Planner Fail end? My answer: it only ends when you decide to end it. There is no Perfect Planner. Every planner has its pros and cons. The ring binder that is so flexible to use is heavy and bulky. The bound planner is sleek but not the perfect format, or doesn't have enough notes pages. The planner with the nice big pages is too big to carry around. That cute little portable planner just doesn't work well enough for you. You can print your own pages to put in your binder, but that binder is still going to be heavy. You can hand-draw your ideal planner format into a notebook, but you are still stuck with a limited number of pages in that book. In the end, you have to find the planner that you like enough and that works well enough. And of course the bottom line is, a planner isn't going to do your tasks for you or achieve your goals for you. A planner you enjoy can make planning pleasurable, but in the end no planner is going to make you happy if you're not already. I've gained this wisdom after spending years and years (and hundreds of dollars) trying to find my Perfect Planner. Take it from me, it doesn't exist. You have to decide for yourself to end the cycle, end the search, and just use your planner. Have you put an end to your Planner Fail Cycle? How did you do it? And as always on Fridays, feel free to discuss and/ or ask anything planner related! I've written several times about feeling like I need to LOVE my planner. I've used planners I've loved, and I've used planners just out of necessity. Obviously it's better when I love my planner, but that doesn't always happen. A friend of mine is struggling to find a planner she loves, and during the course of our conversation I realized sometimes I love my planner after the fact, when I've been using it for months and have written a lot in it. It contains my life, which makes me love it. This gives me hope that even if I don't feel a love-bond with my planner immediately, it could develop over time. So if you are struggling with a lack of planner love, give it some time. You might feel the love eventually. And if you realize, despite loving your planner it just doesn't work for you, let it go. It just wasn't meant to be. Do you struggle with planner love?